my confession... i did steal the cookie from the cookie jar. THEN WHO STOLE THE COOKIES FROM THE COOKIE JAR???? 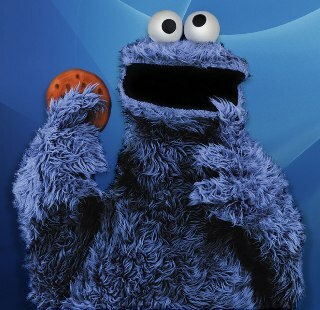 c is for cookie, that's good enough for meeee. My confession today and everyday is that when I am involved with someone I become the worst version of myself. I literally hate myself. I can see everything I am doing wrong and everything that I should be doing but I can't do anything about it. What a shame my greatest quality is being a selfless caring doormat. Forgive me Spazorama for I have been a fool. My confession is that I keep getting angry at Colina over silly pointless things, when really I'm only angry because she's leaving me. My confession is that I have a runny nose and that i want more honeycombe smash cheesecake. My other confession is that if I didn't love my friends so much I wouldn't be coming back from here. Edinburgh is the best place on earth! I love it here.